This is the second article in our series on Hackability; also see the first article. Debuggability can mean being able to use a debugger, but here we’re interested in a broader meaning. Debuggability means being able to easily find what’s wrong with a piece of software, whether it’s through logs, statistics or debugger tools. 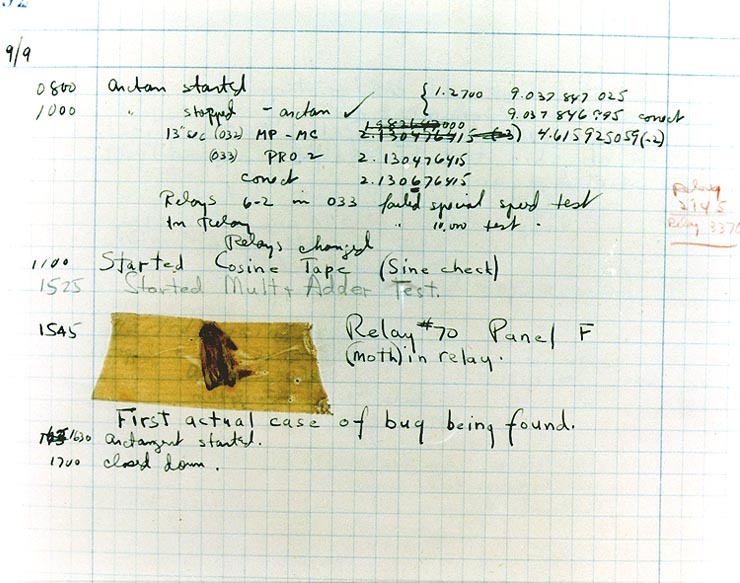 Debuggability doesn’t happen by accident: you need to design it into your product. The amount of work it takes will vary depending on your product, programming language(s) and development environment. In this article, I am going to walk through a few examples of how we have aided debuggability for our developers. If you do the same analysis and implementation for your project, perhaps you can help your developers illuminate the dark corners of the codebase and learn what truly goes on there. 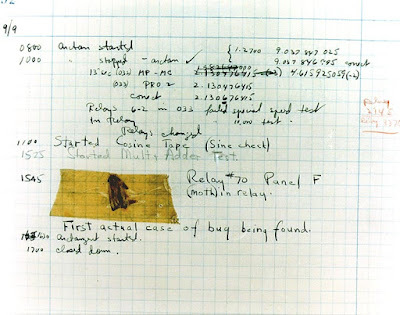 Figure 1: computer log entry from the Mark II, with a moth taped to the page. Suppose you’re developing a service with a mobile app that connects to that service. You’re working on a new feature in the app that requires changes in the backend. Do you develop in production? That’s a really bad idea, as you must push unfinished code to production to work on your change. Don’t do that: it could break your service for your existing users. Instead, you need some kind of script that brings up your server stack on localhost. That makes it a whole lot easier to develop and debug your server. Make sure the logs and stdout/stderr end up in some well-defined directory on localhost so you don’t waste time looking for them. You may want to write a basic debug client that sends HTTP requests or RPCs or whatever your server handles. It’s painful to have to boot the real app on a mobile phone just to test something. A localhost setup is also a prerequisite for making hermetic tests, where the test invokes the above script to bring up the server stack. The test can then run, say, integration tests among the servers or even client-server integration tests. Such integration tests can catch protocol drift bugs between client and server, while being super stable by not talking to external or shared services. First, mobile is hard. The tooling is generally less mature than for desktop, although things are steadily improving. Again, unit tests are great for hackability here. It’s really painful to always load your app on a phone connected to your workstation to see if a change worked. Robolectric unit tests and Espresso functional tests, for instance, run on your workstation and do not require a real phone. xcTests and Earl Grey give you the same on iOS. Debuggers ship with Xcode and Android Studio. If your Android app ships JNI code, it’s a bit trickier, but you can attach GDB to running processes on your phone. It’s worth spending the time figuring this out early in the project, so you don’t have to guess what your code is doing. Debugging unit tests is even better and can be done straightforwardly on your workstation. Some products are harder to debug than others. One example is hard real-time systems, since their behavior is so dependent on timing (and you better not be hooked up to a real industrial controller or rocket engine when you hit a breakpoint!). One possible solution is to run the software on a fake clock instead of a hardware clock, so the clock stops when the program stops. The point is, you need to build these kinds of things into your product; this greatly aids hackability. It’s hackability to get the right logs when you need them. It’s easy to fix a crash if you get a stack trace from the error location. It’s far from guaranteed you’ll get such a stack trace, for instance in C++ programs, but this is something you should not stand for. For instance, Chromium had a problem where renderer process crashes didn’t print in test logs, because the test was running in a separate process. This was later fixed, and this kind of investment is worthwhile to make. A clean stack trace is worth a lot more than a “renderer crashed” message. Logs are also useful for development. It’s an art to determine how much logging is appropriate for a given piece of code, but it is a good idea to keep the default level of logging conservative and give developers the option to turn on more logging for the parts they’re working on (example: Chromium). Too much logging isn’t hackability. This article elaborates further on this topic. Logs should also be properly symbolized for C/C++ projects; a naked list of addresses in a stack trace isn’t very helpful. This is easy if you build for development (e.g. with -g), but if the crash happens in a release build it’s a bit trickier. You then need to build the same binary with the same flags and use addr2line / ndk-stack / etc to symbolize the stack trace. It’s a good idea to build tools and scripts for this so it’s as easy as possible. It aids hackability if developers can quickly understand what effect their changes have in the real world. For this, monitoring tools such as Stackdriver for Google Cloud are excellent. If you’re running a service, such tools can help you keep track of request volumes and error rates. This way you can quickly detect that 30% increase in request errors, and roll back that bad code change, before it does too much damage. It also makes it possible to debug your service in production without disrupting it. Tests and debugging go hand in hand: it’s a lot easier to target a piece of code in a test than in the whole application. Small and focused tests aid debuggability, because when a test breaks there isn’t an enormous SUT to look for errors in. These tests will also be less flaky. This article discusses this fact at length. Figure 2. The smaller the SUT, the more valuable the test. You should try to keep the above in mind, particularly when writing integration tests. If you’re testing a mobile app with a server, what bugs are you actually trying to catch? If you’re trying to ensure the app can still talk to the server (i.e. catching protocol drift bugs), you should not involve the UI of the app. That’s not what you’re testing here. Instead, break out the signaling part of the app into a library, test that directly against your local server stack, and write separate tests for the UI that only test the UI. Smaller SUTs also greatly aids test speed, since there’s less to build, less to bring up and less to keep running. In general, strive to keep the SUT as small as possible through whatever means necessary. It will keep the tests smaller, faster and more focused.